Established in 2004 Betfred.com today is recognized as one of the United Kingdom’s most popular destinations for online betting. Betfred is a must have for players who bet on horse racing and football because of its strong focus on the British and the Irish market. This sportsbooks is recognized as a sportsbook that has introduced many innovative bonuses and betting specials. One of those bonuses is the free bet offer of up to £25. All you need to do is open an online account, place your bet of £1 or more and Betfred will give you a free bet of the same value. As soon as your qualifying bet settles your free bet will be credited to your account within 24 hours. If you make multiple selections, the cumulative odds of the selections on your first bet must be Evens (2.0) or greater. A bet cannot qualify for the free bet offer if it was placed at odds less than Evens (2.0). The offer is only available to new customers. Those that already have an account cannot play for the free bet. Note that you will not be eligible for the offer if you have made a deposit using Skrill, Neteller and PayPal. Players from several countries that want to make a deposit using their credit card won’t be eligible for the offer too. You can use the free bet on any sport market you wish. Your first bet must contain a selection at odds Evens (2.0) or greater. If you make more than one selection, then the cumulative odds of the selections must be also Evens (2.0) or greater. 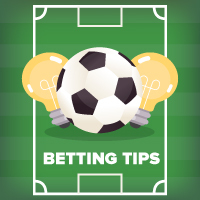 If you fulfill this condition, then the free bet will be credited to your account within 24 hours after your qualifying bet has been settled. Make sure to use the free bet in 14 days after receiving it, or it will expire. Visit the website of Betfred in order to register your unique betting account. You can visit the site by clicking on our banner and you will be automatically taken to the relevant address. Click on the green ‘Sign Up Now’ button in the top right corner of the home page and complete the registration form. Leave the promo code field empty. Just enter few personal details relevant for the registration. See that you enter only correct details, since providing false info may result with problems regarding payments or verifying your identity, if requested by you. All you have left is to make a deposit in order to be able to make your qualifying bet and thus win a free bet with the same value as your stake up to £25. Now you can place your first ever bet at Betfred. You will have to do that by placing it at odds Evens (2.0) or greater on any sport or you won’t be eligible for the free bet offer. 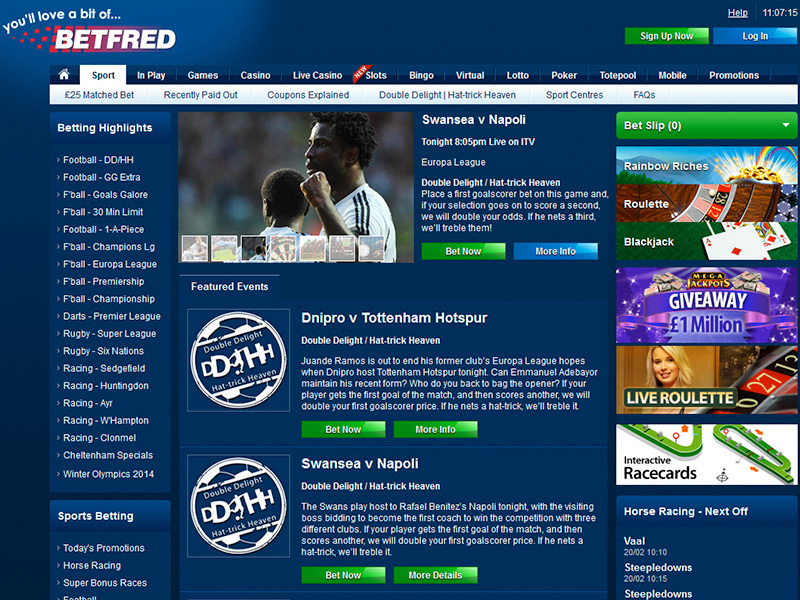 Betfred is one of the largest independent sportbooks in the world. It has hundreds of shops across the United Kingdom and thousands of employees that work in the shops or for the online betting service. Originally, the company was established in 1967 by its owner, Fred Done, as Done Bookmakers, while the online sportsbook was launched in 2004, followed by a mobile betting app several years later. Today Betfred generates one and a half billions in turnover, and is known as the Bonus King. Betfred is known as the inventor of the Lukcy 15, first sportsbook to offer daily early prices, Best Price Guaranteed, and treble odds for one winner on Lucky 15, 31 and 63’s, etc. There are unique tools at Betfred, like the Football Analyzer, along with a Racecards & Results section that covers results, racecards, statistics, news and more for racetracks all over the world. Betfred is ranked in the Top 100 largest privately owned companies in the United Kingdom. Anyone that loves betting on UK and Irish football or horse racing, Betfred will be a top destination for him. There is a full streaming and betting coverage on horse racing, English and Scottish football and snooker. •	The latest innovation by Betfred is the 30 Minute Limit coupon allowing you to predict at which football match there will be a goal in the first 30 minutes.